Sometimes when things come together, there’s a sense “this was meant to be." You just know it is all unfolding for a reason. My upcoming memoir workshop “Writing From the Heart” in Tucson, Arizona on Feb. 14 lends itself to this “magic”. It started with something as simple as a telephone conversation on a cold winter's day as I sat in my kitchen in Chester Springs, Pennsylvania. Tucson friend, Melanie Mizell, who I met when we worked together in the nonprofit sector, called. I mentioned my upcoming visit to Tucson. We talked about the importance of reaching out to the community in a meaningful way. Why not offer a memoir writing workshop? Melanie, a Rachel Carson-type naturalist and environmental writer, suggested we also invite as presenter, Patricia Preciado Martin - whose stories and memoirs document the heritage of Mexican American women of the Southwest. 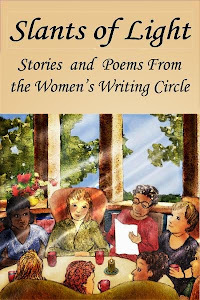 I met Patricia last year and featured her in this interview in the Women’s Writing Circle. Patricia's enthusiasm to join us encouraged Melanie and me to move forward. For people struggling to tell their stories, a memoir writing workshop offers a lifeline . . . a pathway to the heart’s desire to be heard; that our stories matter. Have you always wanted to write your story or the story of another but weren’t sure how to get started? Bestselling memoir author, Susan G. Weidener, University of Arizona Press author, Patricia Preciado Martin, and Tucson nature writer Melanie Mizell will offer a special Valentine’s Day memoir writing workshop from 9:30 a.m. to noon Saturday, Feb. 14 at the Pima County – Tucson Women’s Commission, 240 N. Court Avenue. Free parking available downtown on the workshop date. The authors will discuss writing life stories and read from their work. Time provided to write in small group sessions for sharing with the larger group. Bring your favorite writing tools: notebook, laptop, journal. Light refreshments will be provided. Fee is $25 –payable at the door. Cash or check made out to Susan Weidener; no credit cards accepted. No prior writing experience required. To reserve a space, email susanweidener711@gmail.com. 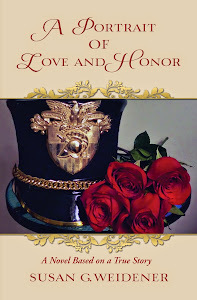 Offering the workshop on Valentine's Day offered its own synergy . . .writing from the heart. We’ll light the candle and for two and a half hours shut out the distractions of the outside world and concentrate on our writing . . . all of this in a 19th century building that is the home of the Women's Commission. Inside, photographs and renderings of women who came before us and fought to be heard and recognized as equals adorn whitewashed adobe walls. 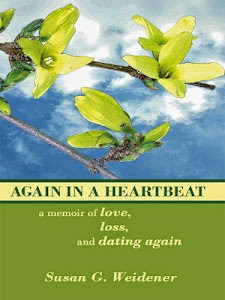 I’ll be reading a short excerpt from my memoir, Again in a Heartbeat. The Women’s Commission, a vocal advocate of equality in Tucson since 1976, serves as rich resource for women struggling with issues ranging from domestic violence and substance addiction to poverty and homelessness. For centuries, women were not viewed as equals when it came to telling our stories . . . or even voicing an opinion. Sometimes we forget that challenging the double standard - that men could write what they wanted - but not women – is a relatively new phenomenon. 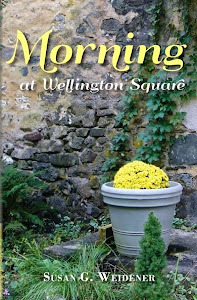 It is one that I believe has driven much of the recent interest in memoir writing. Writing memoir serves as a nurturing and healing medium to express ourselves in a way not open to generations of women who came before us. Our workshop also offers the pleasure of networking with other women and men in the local business community. The Commission is situated in the heart of the Old Town Artisans section of Tucson. Participants can take a short walk and enjoy lunch at La Cocina, where owner JoAnn Schneider - who I had the pleasure of meeting yesterday - creates the magic of the Old Pueblo – its romance, and distinctive heritage in an intimate courtyard setting . The restaurant is surrounded by speciality shops featuring glass wind chimes, jewelry, art and clothing. None of us can do this work alone . . . it’s all about collaboration and sharing and coming together in community. In a world too often isolating and calculating, the essence of the memoir movement resides in the beauty and connection of sharing our stories, finding our voices, offering a listening and supportive ear. I do hope if you're visiting or living in the Tucson and Pima County area you will join us on a Saturday morning as we write from the heart.